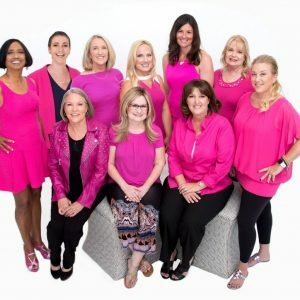 FLORIDA (MARCH 22, 2019) – Susan G. Komen Florida today announced a new investment in its commitment to support local women dealing with a breast cancer diagnosis. As part of the organization’s Bold Goal to reduce current breast cancer deaths by 50 percent in the U.S. by 2026, Komen Florida is contributing $60,000 to Komen’s National Treatment Assistance Program, with funds earmarked to provide direct financial assistance for Florida patients dealing with the crippling costs associated with breast cancer treatment. To be eligible, patients must have incomes at or below 250% of the federal poverty line and an active breast cancer diagnosis. The program covers limited costs associated with breast cancer treatment such as oral pain medication, anti-nausea medication, oral chemotherapy/hormone therapy, child care/elder care, home care, transportation, lymphedema care and supplies, and durable medical equipment. For more information, call the Susan G. Komen Breast Care Helpline Monday-Friday 9am-10pm ET at 1-877 GO KOMEN (465-6636) or email helpline@komen.org. Susan G. Komen is the world’s largest breast cancer organization, funding more breast cancer research than any other nonprofit while providing real-time help to those facing the disease. Komen Florida is working to better the lives of those facing breast cancer in local communities across its service area of southwest, central, north, south and the Florida Suncoast regions. Komen Florida has invested nearly $57 million in community breast health programs and has helped contribute to the more than $988 million invested globally in research. 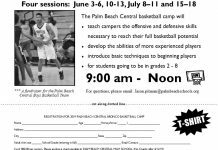 For more information, call 561-514-3020 or visit www.komenflorida.org.